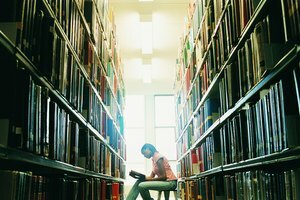 Students who develop research skills tend to be the most successful doctoral candidates. Doctoral students face a slew of challenges in an intensive academic environment. 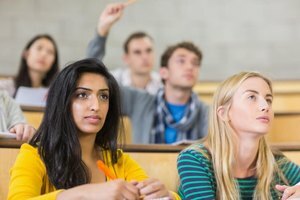 Although inherent cognitive ability plays a role in Ph.D. candidates’ success, many other factors can make a crucial difference and allow students to succeed, including personal habits, environmental influences, supporting resources and the social atmosphere in which students do their work. The relationship that students have with the faculty is crucial to their chances of success. The university staff can provide experienced perspectives and valuable insights to students. This is embodied in the vital relationship that a doctoral student must develop with an adviser, but ideally it can be bolstered by mentor relationships with other professors. There must be a level of communication that goes beyond a faculty member imparting information to the student. The faculty must be able to assist students in understanding difficult concepts and overcoming obstacles. Emotional support and encouragement become just as important as expert knowledge. The support of a community of peers is also important to the success of doctoral students. Although graduate school is not about socializing, a common purpose exists that can serve as a unifying bond and a mechanism of support among students. Encouragement and tips from fellow students can provide valuable insights and original perspectives. A sense of community gives students a feeling of purpose and direction, helping them to persevere through difficult times. Enthusiasm is infectious. Students can find reinforcement through their peers, where professors and staff members might have limited time and resources. Doctoral students face an environment in which independent research is of the utmost importance. Class time takes a back seat to the work that students do on their own. The most important features of research are self-discipline and motivation, as students must carry out ample research to narrow their field of study and become experts. Students must clearly define their topic and decide what kinds of research best support their premise. For example, a paper written by a social work doctoral student might focus on children of single-parent families and how well they do academically. The most effective sources may be in government databases and academic reports, books by educational experts and association reports versus online news sources or websites that provide amalgamations of information. Students who look for original data and ideas often find creative sources that lead to innovative projects and successful theses. Doctoral students must find a way to continue their work on a daily basis. Self-discipline and endurance become essential; students have to work regularly whether they feel inspired or not. This can be difficult, as many students get bogged down by stress and many lose sight of their goals and the purpose of their work. When making schedules that include class time, research, writing and studying, students should also schedule time with friends and family, time to exercise and time to do nothing. For example, according to the Association of American Colleges and Universities, students should plan to spend two hours studying for every hour in class. A balanced student may include one extra hour of free time for every two hours spent studying. Balancing work with leisure activities and good health habits allows students to maintain energy, enthusiasm and self-esteem so that they can persist in their work on a day-to-day basis. What Are the Benefits of Being Ordained? Ray, Linda. "Success Factors for Doctoral Students." Synonym, https://classroom.synonym.com/success-factors-doctoral-students-4537.html. 26 September 2017.